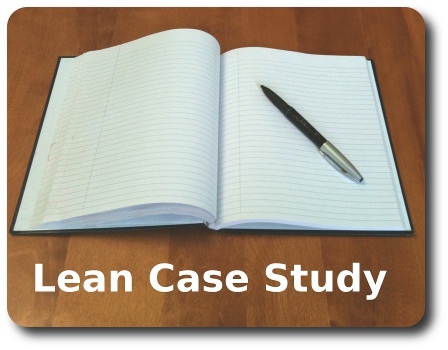 The following lean case study deals with a company called American Easel. American Easel is an American company that makes easels! Clearly an excellent name choice. All jokes aside, these wooden easels and frames are an artist's mainstay and something that you would expect some enterprising accountants to outsource overseas. However, American Easel is fabricating these in Salem, Oregon and the company is doing just fine! "We are proud that our products are American made!We are fortunate to be able to use locally grown and sustainable materials such as Douglas fir from our own backyard here in the Pacific Northwest. We strive to only purchase products from mills that use the best forestry practices. All of the mills that we source our wood from have a vested interest in preserving the forests for future generations." Recently they underwent a lean transformation. The SME website has an article giving a great summary of American Easel's lean approach on this page. "The owners of American Easel decided to take a chance on lean. They invited Oregon lean expert Gary Conner and a team of 15 experts, all volunteers, some from out of state, to conduct a “kaizen event” in their shop. Conner spent a week leading the owners and team members through hands-on problem-solving exercises on the shop’s floor. The team cleaned up the shop, using 5S. Part of “setting in order” was revamping the entire inventory system. Truckloads of unneeded material were hauled away or recycled. Every operation in the manufacturing process was timed and analyzed, and the team looked for every possible kind of waste in the process, and eliminated it. The result at the end of the week was a streamlined and efficient production process that transformed the business." Their lean efforts were filmed and part one of the video is embedded below. Even though we only get to see part one, there are some interesting tidbits. Around the 8 minute mark, we get to see a lean simulation in use. There's some good dialogue about the simulation and how it relates to their actual processes. 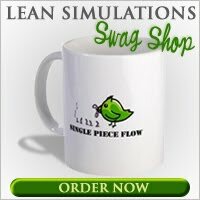 If you're wondering how to use a lean simulation during a kaizen event, or as a training tool, you should check this section out. The simulation shows each team member focused on their own process with no regard to whether there is too much inventory or not enough. As a result, there are ongoing stock outs. The simulation shows that it takes 23 minutes to create a Lego part from start to finish, but this only includes 43 seconds of labour. As mentioned before, the video uploaded by "Extreme Lean" is part one of six. At a running time of 16 minutes, the extreme aspect could be absorbing all the information contained in the other 5 videos. Total run time for the whole series is 90 minutes. That's feature film length, folks. If you're interested in the entire video, it's available on Amazon here. I'll be adding this video to a new list of lean case studies I'm creating, appropriately titled "Lean Case Studies."